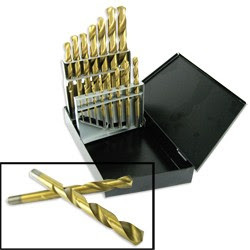 Doctor Drill Bit, a Metallurgist who has dedicated his life to all types of drill bits and there applications. He is here to share his knowledge on drilling all type materials. High speed, cobalt and carbide drill bits for drilling steel, wood and everything in between. I have found that when drilling out broken bolts, screws and easy-outs, DrillBitWarehouse.com has a great set of left handed drill bits. A left handed drill bit has a reverse flute so all you do is put it in a hand drill in reverse and it just makes drilling out bolts so much easier. Sometimes I use a solid carbide rotory burr, if the broken bolt is made out of super hard steel. With a micro-grain burr it actually grinds through it and drills it out. I bought a Set of four extra long carbide burrs and they really come in handy when a long reach is needed.